Within hours of the price of iPhone 4S being announced on the websites of Bharti Airtel and Aircel on Friday, the social networking media was abuzz with comments deriding the smartphone maker Apple. 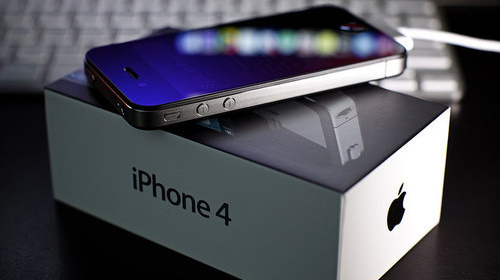 At its launch price ofRs 44,500, the iPhone 4S will indeed be costlier in India than anywhere else in the world, though it will be available about 10% cheaper on several online shopping sites such as ebay. Tweets mentioned, among other things cheaper than the latest smartphone, return tickets plus three-day stay in Dubai/Bangkok/Colombo, a year’s petrol bill and LED television sets. In the US, in contrast, the smartphone retails at 35% less than the official price announced in India. In fact, all Apple products are priced significantly higher in India than in the US, Singapore and Hong Kong. Yet, Indian customers will not benefit from getting somebody to buy the phone for them from the US or Singapore. That is because, unlike the iPad and Apple’s range of personal computers, the iPhone does not come with an international warranty. The warranty for iPhone 4S will be valid only in the country in which the phone is purchased. The 32-GB iPhone 4S will cost Rs 50,900 while the high-end with 64 GB comes at Rs 57,500. The lowest priced iPhone 4S at Rs 44,500 comes with 16 GB memory. Experts say, such a price difference will lead to the resurgence of the gray market that had largely disappeared in India due to the pricing parity followed by all handset majors and the near total abolition of customs and import duties by the government in a phased manner over the past few years. Executives from both Airtel and Aircel, local carriers that will launch iPhone 4S on their networks, declined to comment, but ET has learnt that operators had no say in the pricing. Unlike in the US, Europe and several Asian markets, operators in India never looked at the iPhone as a revenue spinner. Having the iPhone 4S on their networks is just a status symbol, said an industry executive. In fact, Apple ships fewer handsets to India, which has over 600 million active users and is the world’s second largest mobile phone market, than even Norway, a country with one-third the population of the National Capital Region. According to Canalys estimates, Apple sold about 100,000 handsets in India between July-September and had a 3.6% market share in the smartphone segment.